I’m also obsessive when it comes to lists and organization. 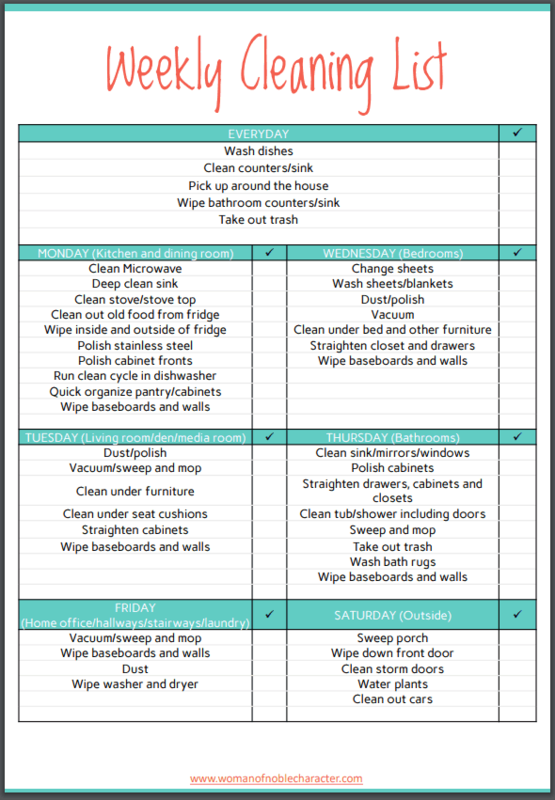 Put those together and it creates the perfect opportunity for me to share my free weekly cleaning checklists with you. I have two checklists for you to choose from (or both if you like to live dangerously 🙂 ). 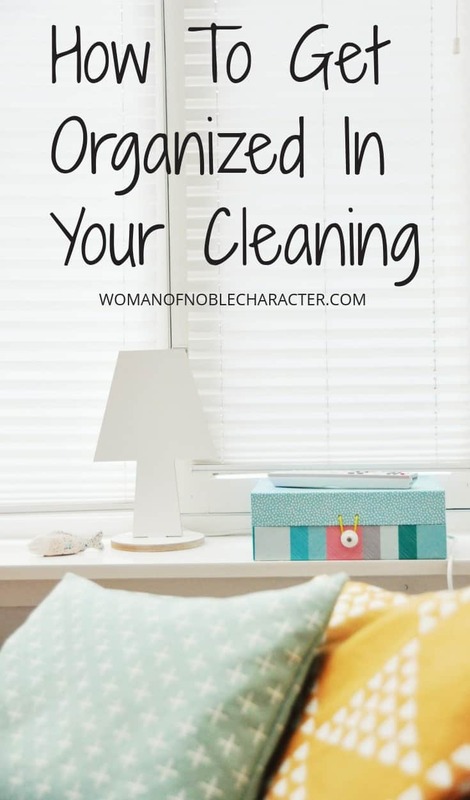 The first weekly cleaning checklist is complete with tasks to tackle each day. 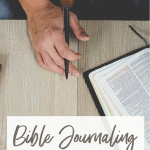 If you need a bit of help or more of a schedule to help you go step by step, this is the one for you. It also has a blank line for each day to add an additional task, if you need to. The second of the weekly cleaning checklists is blank. On it, you’ll find the days of the week plus sections for everyday cleaning and monthly cleaning. This one is much more flexible than the first as it can be customized to fit your needs, your home and your schedule. For example, I have more free time to clean on Fridays and Saturdays than during the week, so my weekly cleaning schedule will have more tasks on those days. Your schedule may be more open on Mondays, so you can add more tasks to that day. Which of the weekly cleaning checklists works better for you? Do you need more structure? Or do you need the ability to customize? 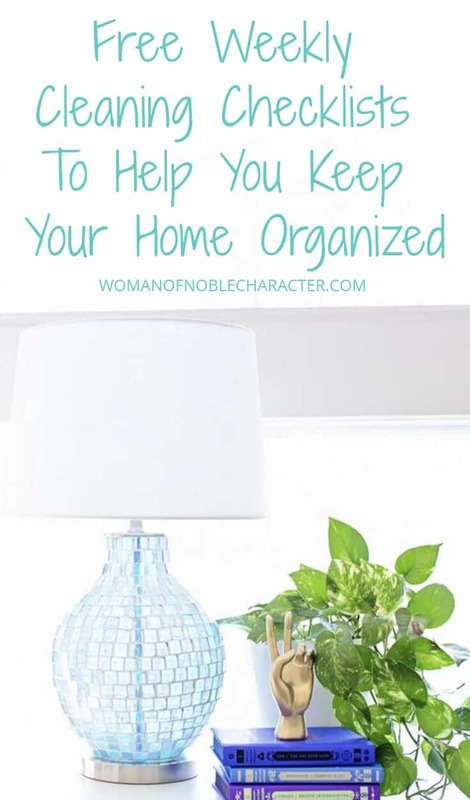 At least twice per month, I share a new printable to help you get organized. You can find previous free printables on this site HERE. Since I’m kind of a clean freak, I also have my absolute favorite cleaning products that I won’t part with. 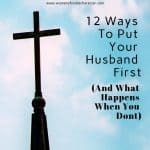 You can find that list HERE. For more on spring cleaning, see this post. What kind of printable would like to see from Woman of Noble Character? Tell me in the comments below. I can’t wait to hear your ideas!